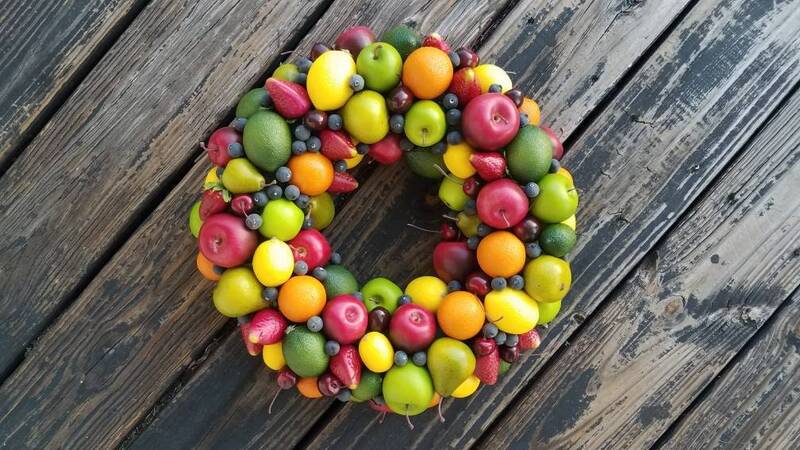 Approximately 200 pieces of fruit make up this stunning miniature fruit wreath. A lot of time and detail went into this creation. 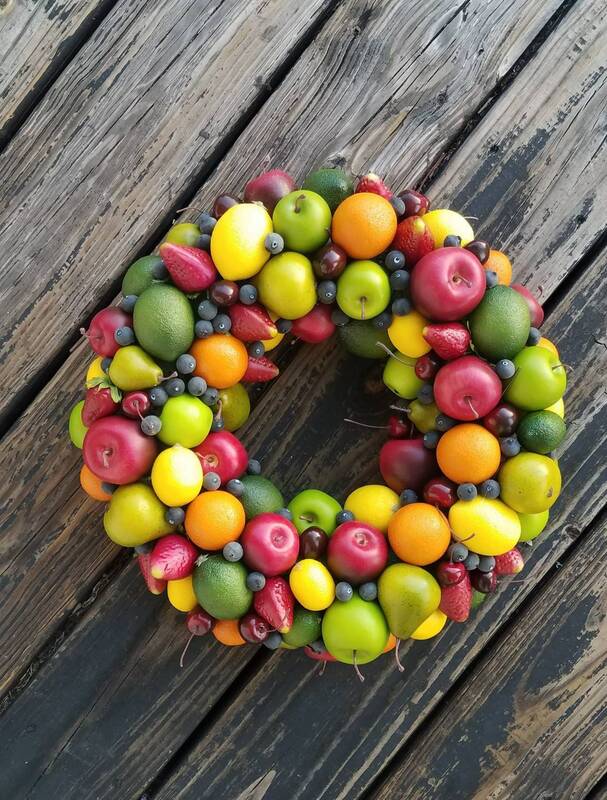 You will find strawberries, cherries, limes, apples, lemons, oranges, blueberries, and pears in this fruit wreath. The only greenery used in the piece is the stems attached to the strawberries. 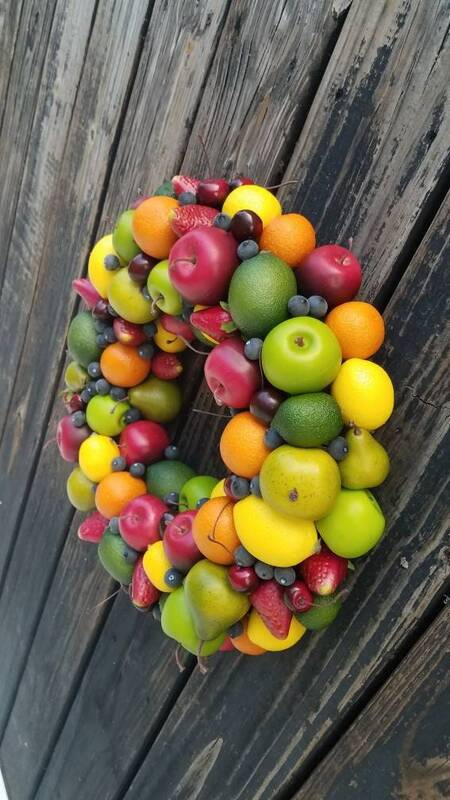 This wreath packs a huge visual punch with details and is sure to delight. Hang it on a door or wall. 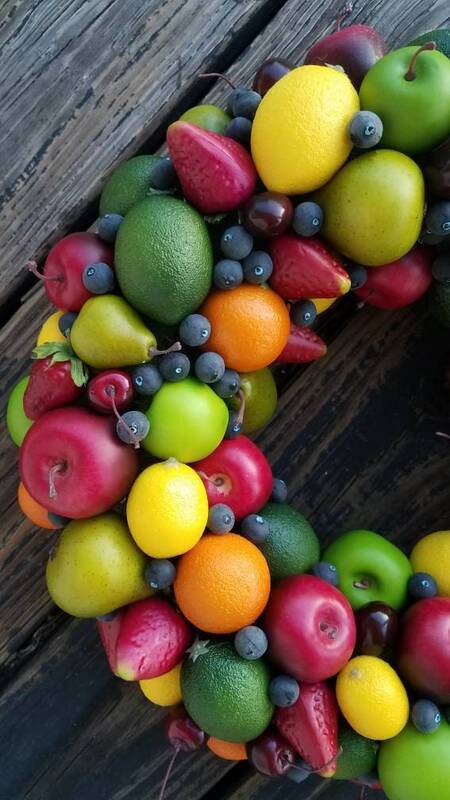 Add a piece of ribbon and hang or drape it over a mirror in your dining room or kitchen. Use it as a center piece on your kitchen or dining room table by placing a large, chunky candle in the center. The base for this wreath is styrofoam hand wrapped in moss and attached with glue and floral wire. 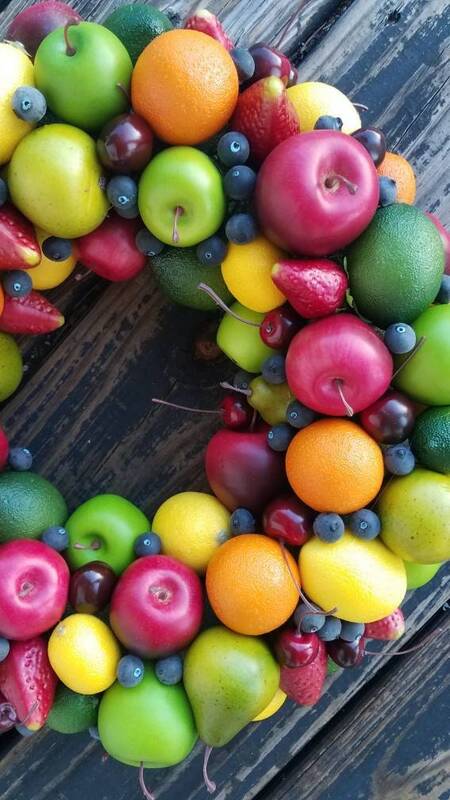 The wreath comes in 3 different sizes; 16, 18, or 20 inch diameter.